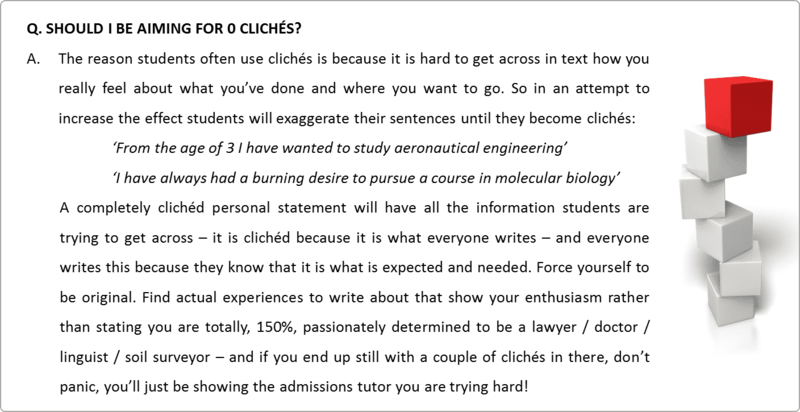 Why don’t admissions tutors like cliches? Does the cliche detector check spelling and grammar errors? Does UCAS detect cliches in their system? Should I be aiming for 0 cliches? What are some examples of the most overused cliches?